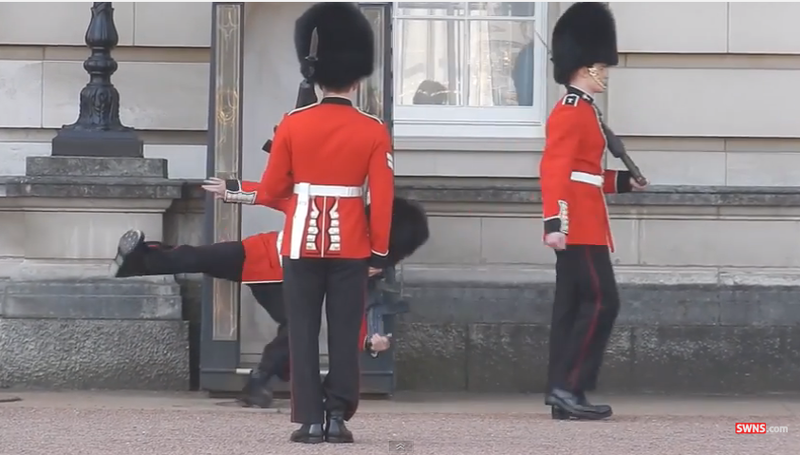 Buckingham palace guard falls over (VIDEO). A Buckingham Palace guard falls over. More information on the Buckingham Palace guard who fell over is here.